Event Description Reimagining Suffrage and other stories is inspired by women’s themes that transgress time and place. LITVAKdance, a company of eight diverse women, will be performing the work of four female choreographers from three generations. Choreographers included on the program are; up-and-coming NY based dancer/choreographer, Tamisha Guy (she|her|hers), retired San Diego State University Dance faculty, Patricia Sandback (Girls with Balls) and Artistic Director Sadie Weinberg in collaboration with her mother San Diego dance pioneer, Betzi Roe (Reimagining Suffrage). The program will also feature BayArea guest performers Aja Randal, Damara VIta Ganely and Patricia West performing under the name DAP. Ganely and West are longtime company members of San Fransisco dance giant, Joe GoodePerformance Group. 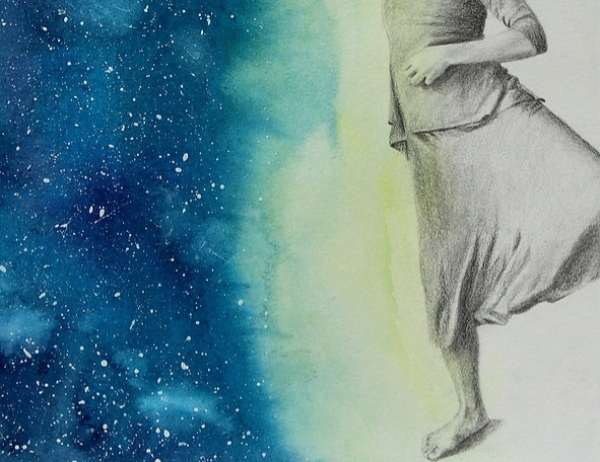 Work by visual artist, Wren Polansky, inspired by the diverse heritage of dancers and choreographers, will be on display in the lobby of the Sunshine Brooks Theater April 5-14. 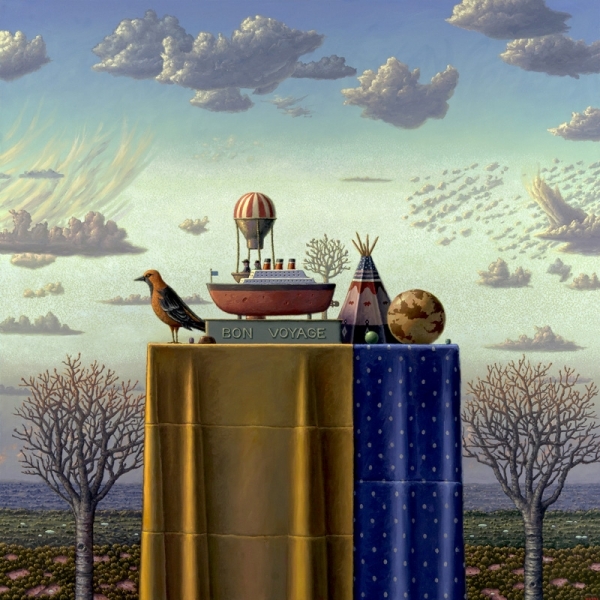 Event Description Join us for an Artist Talk and the Closing Reception of San Diego artist, Michael James Armstrong. 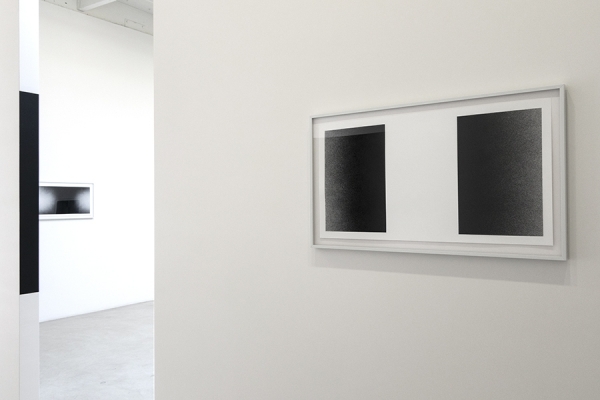 LINE & FUZZ is Armstrong's second exhibition at Quint Gallery. It will consist of ink drawings and spray painted works on paper, all geometric in nature. Event Description The water itself is a greatest power. It can give and it can take away, it can cleanse, heal and it can kill at the same time. Always changing, yet always beautiful. I can identify water with the power of music or the power human feelings as I dive into these series. I'm presenting new emotional pieces that are within a range between musical and marine themes, or a twist of both. 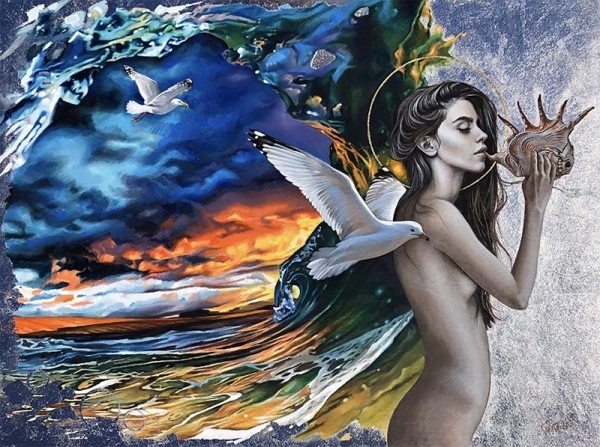 In these works I'm challenging myself to create a melody or a sea sound through the painting, I am also trying to bring more dynamic elements into my style." Event Description Swing by The Studio Door for our first ice cream social. This is the kick off event for arts patrons and philanthropists who are under 40 and interested in becoming informed donors. Have fun, meet the next generation of local artists and educate yourself on how to support the creative community. 11 AM - 12:30 . 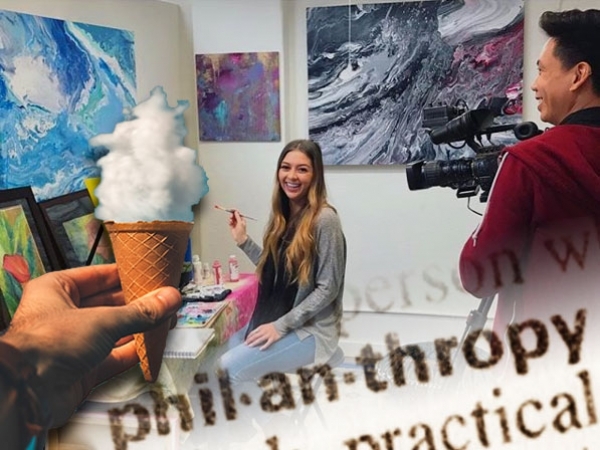 Artist: Alfa_Kat, who has learned how to utilize instagram to sell her art, was recently interviewed on KPBS and is our youngest studio artist. Special Guest: Patricia Frischer of San Diego Visual Arts Network will present the secrets of collecting art. Opening Days Tuesday thru Saturday. 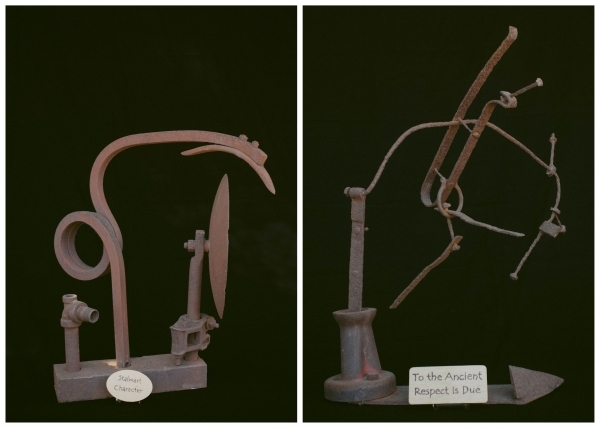 Event Description This exhibit features a full dozen of Hilary Paul McGuire's Antique Iron Sculptures, promoting Respect for Old Age & Character. 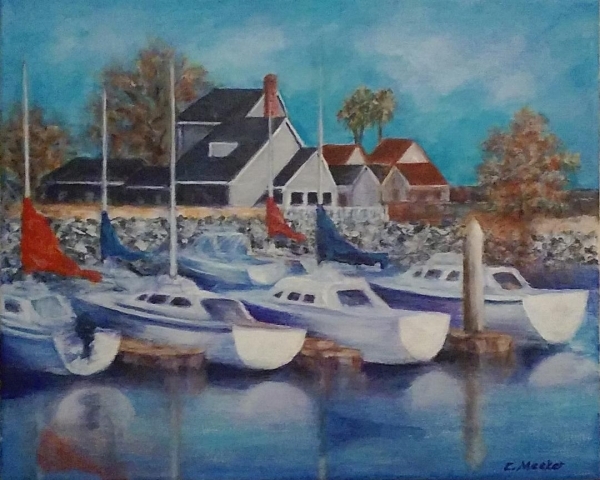 The exhibit runs 3/31/2019 through 4/28/2019 at our Art Gallery in The ARTS DISTRICT Liberty Station. The Opening Reception is Saturday, April 13, 2019 from 6-8 pm. The Gallery is open Tue-Sat, 11 am – 4 pm or by appointment and is free to the public. There is a free parking lot in the alley off Dewey Street behind the Athenaeum Art Center between Julian Avenue and Kearney Avenue available for use by students. There is also ample free street parking on Julian Avenue that is untimed. A limited number of handicapped spots are available in front of the entrance to the Bread & Salt building. This is one part of an exhibition Identity I Antiquity with Alessandra Moctezuma. The AAC will exhibit two of Moctezuma’s recent series: self-portrait drawings reflecting on her role as a mother, a wife, and a daughter, and political cartoon collages on the subject of America’s obsession with guns. 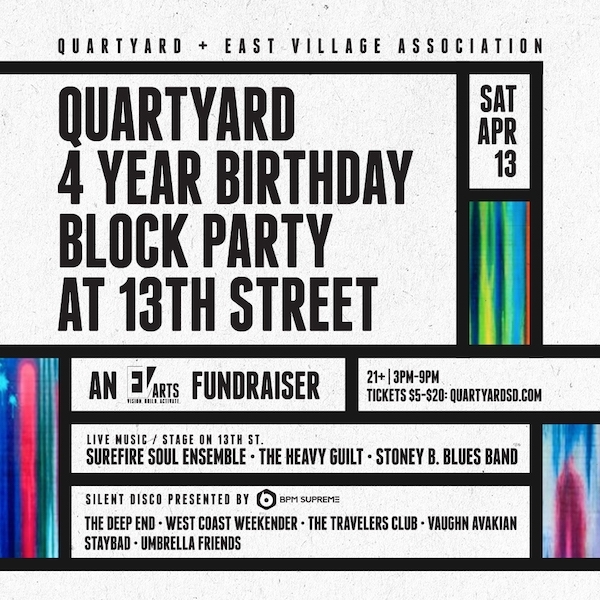 Event Description Quartyard + East Village Association is proud to present: Quartyard’s 4 Year Birthday Block Party [an evARTS Fundraiser] Join YourCityBlock in celebrating our 4th Birthday! For our birthday we have decided to raise funds with the community for the creation of a 6,000 square foot mural to be placed on the Alpha Project wall directly behind Quartyard. All proceeds from the event will be dedicated to funding the production of the block party & the funding of the mural activation. We can not wait to celebrate our birthday with East Village!